Being a product of the Catholic School System the month of May meant many things to me, but most of all I have always associated it with peace, joy, and beauty. My father passed away on May 4th and one of my sisters passed away on May 8th. So along with my wonderful memories of May comes a bit of heartache. Among the most vivid memories I have is one of the Blessed Mother. Not meaning to give anyone the idea that I am still affiliated with any organized religion, because I chose a long time ago not to associate, but that doesn’t mean that I don’t believe in some of the things that I was taught as a child. Naturally, I don’t believe them as blindly as I did back then, however there was always something to the idea of my beliefs, especially when it came to the Blessed Mother. I belief that the man Jesus may very well have had a mom named Mary and that she suffered greatly when he was crucified as any mother would. She has always been a part of my life and I have turned to her many a time to console me and to help me deal with the most painful moments of my life. Perhaps it is just an idea that I turn to, but for me she was a very real person and her spirit lingers within me. She represents all that is peaceful and beautiful to me. She encompasses the makeup of my heart. I strive to be as loving as I believe she had to have been for she sacrificed greatly for the good of all. The other side of my persona is very much rooted in patriotism. This from both my father and John Wayne, two men who convinced me, whether acting or not, that America was a great country and worth defending to the death. Listening to my father and watching John Wayne with him in the old movies was a great adventure for me. I got to spend time with my father, which wasn’t always possible in our lifestyle. 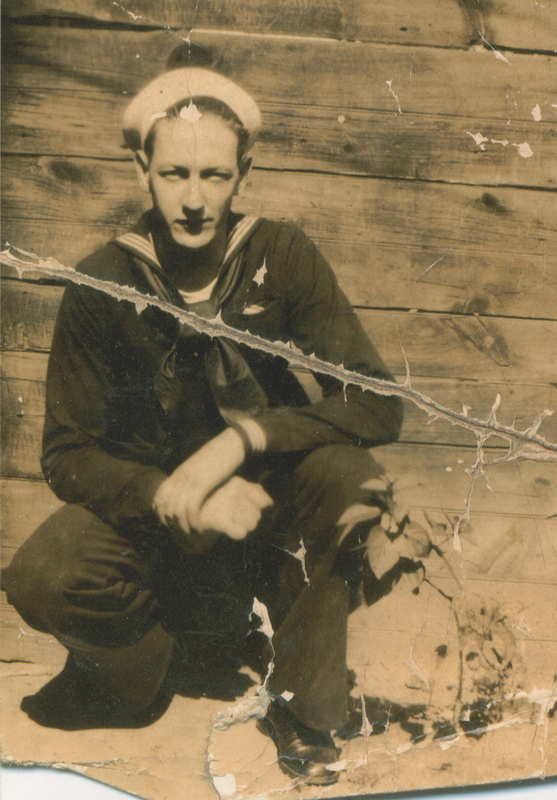 My father loved Fred Astaire, John Wayne, James Cagney, and many more movie stars long gone to graves. My father instilled in me that same passion. I am not so naive as to think that this could possibly be conceived as “brainwashing”, but whether it was brainwashing or it wasn’t doesn’t matter anymore. That feeling of patriotism is still very much a part of who I am and what matters in life to me. Wouldn’t you say I have that right? 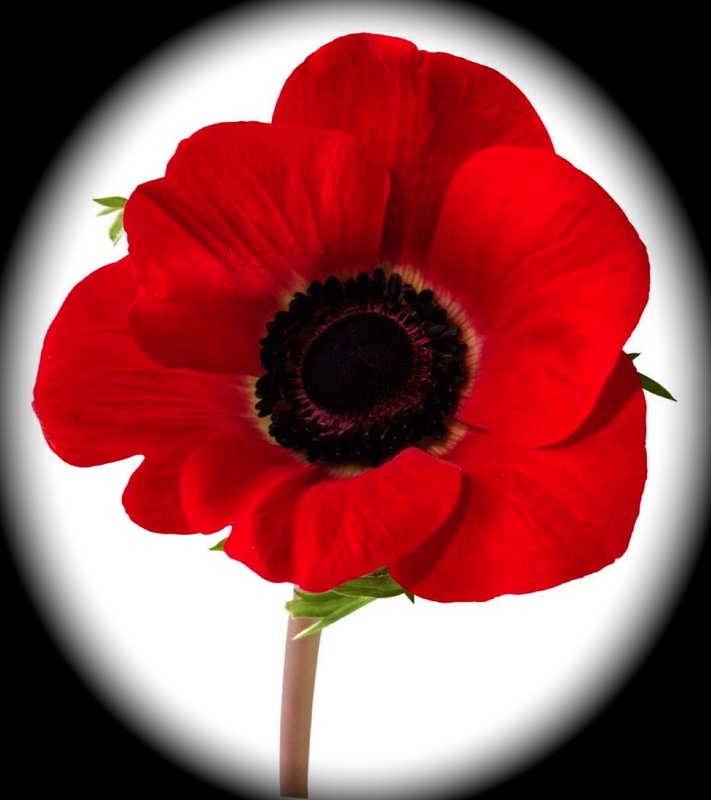 When Memorial Day was approaching, at the end of May (May 30th to be exact), our school would collect donations from the students and once we donated we would receive an artificial poppy flower to wear for Memorial Day. I was always lucky in the fact that I was always able to “purchase” that poppy. 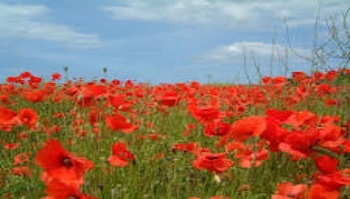 I recall walking along the street, proud as a peacock with my poppy pinned to my chest for all the world to see. I knew it had something to do with our military dying for our country, but as a child, I never connected it to the horror of losing someone you love in a war. Nowadays, I would never deny that this is truly horrific, however it is also an honor for those who chose to fight for this country and for the families who sacrifice because of that choice. No one wants to be at war. No one wants to have men and women dying because they chose to join the military. The ugly facts are though, that it is a reality and since the Civil War onward, our military have given of themselves to protect what they believe to be freedoms. They fight in wars so that those freedoms can be protected. So that their country can continue to be a “land of the free and a home of the Brave”. Perhaps the reasons aren’t always crystal clear to many. Perhaps those people are right in saying that America should mind her own and stay out of other country’s troubles, but I personally wonder how long we would be able to be the country that gives all the people those rights, if we don’t defend her ideals? How long could we maintain our independence if we don’t help defend the independence of those who need it or ask for it? Not long I assure you. This weekend is Memorial Day weekend. Somehow, along the way, the very reason that Memorial Day was declared a holiday became lost in a new idea that Memorial Day was the beginning of summer. While I personally believe barbecuing and celebrating is a great way to commemorate Memorial Day, it should never be without remembering how it came to be. People have forgotten or have set aside the notion that it is truly a day set aside to remember all those who have fallen in the service of their country since the beginning of our time. It is a solemn day, yet joyful day when we can get together to celebrate the sacrifice of life that our military has made in order to ensure that we keep that right to celebrate. We can best honor them by doing what we do best, going to parks, beaches, backyards and enjoying the freedoms that are ours because the military who have died, and the military who still serve, have given us those freedoms for a while longer. And when we are at our events, we need to stop and remember those military personnel and their families and be grateful to all of them for their sacrifices. That is how I can connect Mary, Blessed Mother to Memorial Day. As a mother, she sacrificed when her son gave his life up for the things he believed, just as our military men and women give up their lives for what they believed. As do their mothers and families. All who have sacrificed and suffered should be remembered on Memorial Day. This day should remain so that the memories and the lives of all these people will be forever immortalized in the hearts and the minds of each of us. We should never forget. For me May will always be a month of memories, memorials, joys, and beauty. It will forever hold for me the wish that all who seek peace in this world will work toward it. Merry is the month of May and hopefully, we will continue to keep it that way.